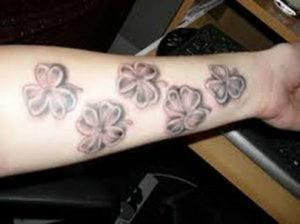 A four leaf clover tattoo is a great way to show pride in your Irish heritage. Or, if you're not Irish, you can still sport one for good luck. The 4 leaf clover is a universal symbol for Ireland. Four leaf clovers are usually a rare find amongst a field of 3 leaf clovers (aka the shamrock clover), which is why they are considered lucky. Actually, the odds of finding one are about 10,000 to 1. True four leaf clovers have three leaves of approximately equal size, and a fourth leaf that will be slightly smaller. To the Irish, each leaf has a different symbolism. The first three leaves represent hope, faith, and love, and the rare fourth leaf represents luck. So if you don't feel you need luck, you could be different and get a three leaf clover tattoo, but if you want the luck, you can get a four leaf clover tattoo! It is impossible to breed for leaf clovers because it is a genetic defect, but some companies do clone them. 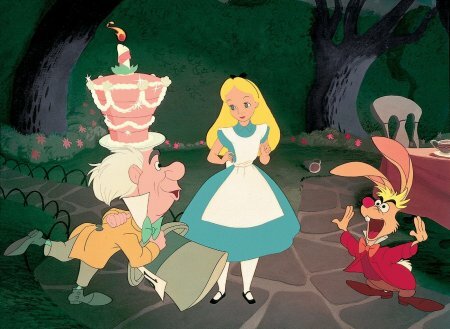 Of course, this is in its own way symbolic of manufacturing luck, so I feel it sort of takes the meaning out of it. I think any Irish person would tell you that a cloned four leaf clover is not the same as a naturally occurring one! But for those who believe in the luck of the Irish, getting a four leaf clover tattoo may bring you some luck. 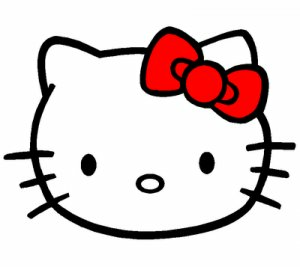 Sometimes in different tattoos you will also see a 4 leaf clover with playing cards, dice, rabbits'feet and horse shoes. 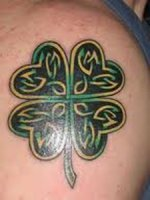 The idea is that some of these other symbols represent luck, so in combination they create an extra lucky four leaf clover tattoo. Dice and cards are symbols of things where luck is needed! St Patrick used the shamrock to represent to the Irish the concept of the holy trinity, which is partly why the shamrock and color green are associated with st Patrick's Day. 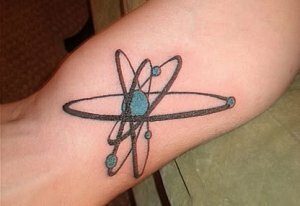 So you may opt for the three leaf clover shamrock tattoo for religious reasons. This is actually a great idea for Irish Catholics who feel that they have all the luck they need. After all, who needs luck when they have God in their corner? Maybe the three leaf clovers are in a sense luckier than four leave clover tattoos after all! I see "RXS" on this four leaf clover back tattoo. Perhaps a tribute to luck for a friend or family member who has those initials? 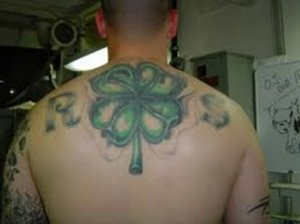 This is a great example of a large four leaf clover tattoo. The placement on the shoulder was a good choice. The Luck of the Irish and blessings from God, can't do any better than that! Maybe placing a four leaf clover tattoo on a certain part of the body brings an appropriate kind of luck. This girl may have been hoping to have luck in a singing career. This man probably was after luck in efforts to plant a garden. Do you get it? 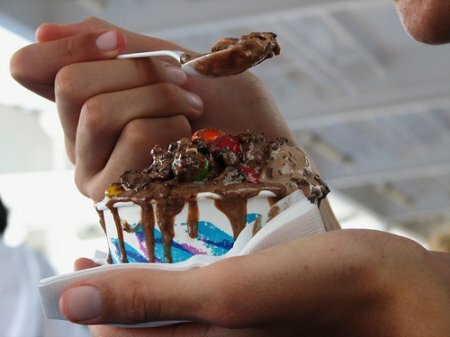 Lucky thumb? Green thumb? Lucky green thumb? Yeah, he deserves luck in gardening even if that wasn't what he was after. 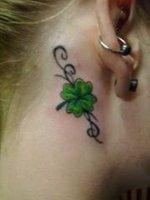 Share a link to a page on Four Leaf Clover Tattoos and we will consider it for placement on this page.